You are currently browsing the tag archive for the ‘French Fry Diary’ tag. On Beyond Werewolves – My Very Zevon Halloween article @ Biff Bam Pop! I was very psyched to see my Halloween-themed Warren Zevon article/playlist go live today on Biff Bam Pop. My friend Glenn Walker, pop culture writer extraordinaire (Welcome to Hell, French Fry Diary) asked me to guest blog for the site and it was a pleasure to put together this piece. Happy Halloween and Blessed Samhain. I don’t read nearly as much as I’d like. I’m generally too busy writing something to give more than transient attention to the books I hope to absorb. This is a definite frustration for me – If I had 48 hours in a day I’d take some of those extra hours to sink more deeply into popular science and science journals, spiritual biographies, political nonfiction, and contemporary poetry, maybe even with time left over to escape into a few episodes of Regular Show or American Dad. Love of toons aside, as I’ve gotten more and more interested in trying my hand at writing some fiction, I do think I ought to start reading some of it now and again. When my friend Glenn Walker (Welcome to Hell, French Fry Diary) asked me if I’d like The Dream Between to be a stop along Fran Metzman’s virtual tour for her new collection of short stories, The Hungry Heart Stories, I thought it was a fun and innovative idea. It was enjoyable to go into the reading experience with no preconceived notion of what to expect. What I found was that I’d need to leave my hope of escaping into stories aside. Witnessing the interactions of the characters in memorable situations led me to some meaningful reflection on relationships in my own life. In My Inheritance, Metzman explores the difficult mother-daughter relationship, as she does later in Getting Closer. Frustration, indifference, avoidance, reconciliation, and hope are on the non-exhaustive list of elements thrown into the emotional soup. How does peace-making around the relationship between my mom and me compare? How have I been like the woman in Christmas in August? What makes for healthy navigation through the end of a romantic relationship? Am I capable of distorted love and desire that could lead to the main characters’ acts in The Invisible Wife or Myra’s Garden? Redemption prompts: How far could I or should I go to protect my loved ones and greater community? The construction of the stories invite writers’ inquiries, easily expanded: When is metaphor truly the best way to express an essential detail or experience? When will only plain words do? Metzman makes us privy to what her characters do, but the archetypal questions remain. Author Fran Metzman is a graduate of the Moore College of Art and the University of Pennsylvania. She teaches writing at various Philadelphia area colleges and universities and co-authored her first novel, Ugly Cookies, with Joy E. Stocke. Her blog, “The Age of Reasonable Doubt” can be found at Wild River Review and deals with mature (sometimes immature) dating and relationships, as well as aspects of society that influence all relationships. 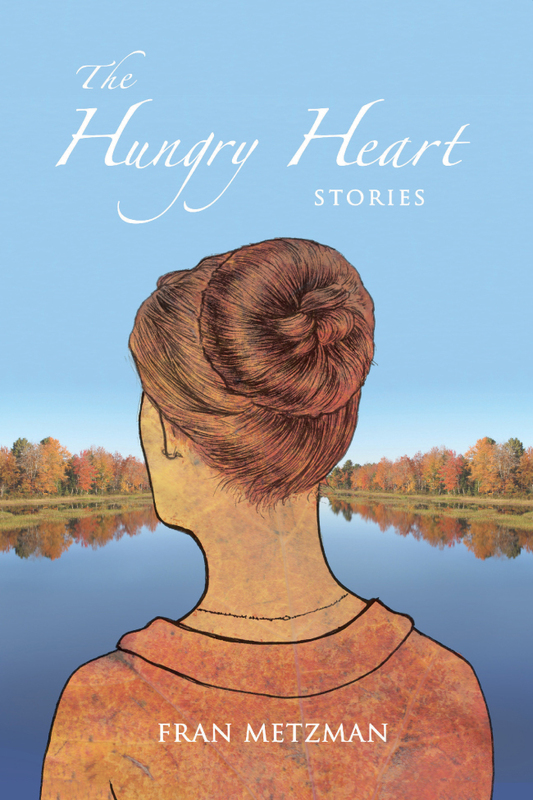 The Hungry Heart Stories feature tales of people in crisis yearning for emotional sustenance, where food occasionally intersects the empty spaces in their hearts.